Since your site will be online that is it will be visible to whole world. In our world there are different countries with different languages, it might be possible if you are using your website in your language people from other countries cannot book rooms on your site. To avoid this situation our qlo help you to manage translation i.e. 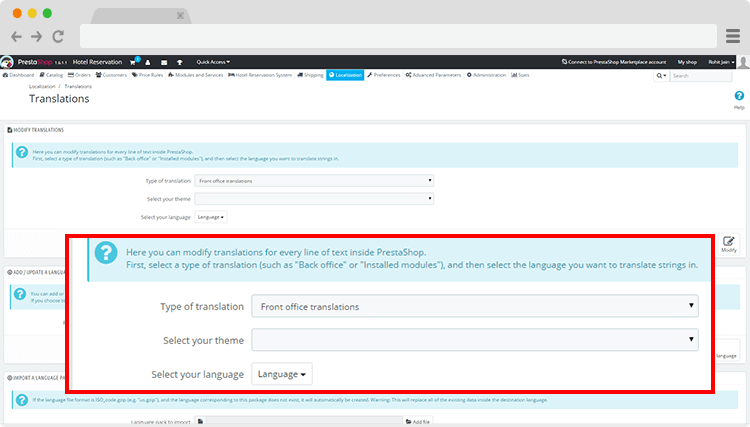 you can easily translate the website in multiple languages.